There is something enchanting about this portrait, an unnamed woman painted by Marion Pooke [1883-1975]. In the course of learning about Pooke, I discovered that she was born at Natick, Massachusetts in 1875, was educated in the U.S., but relocated to France. Apparently she spent most of her artistically productive life in Paris and died there in 1975. Most of her work represented on the web consists of portraits (of the Arts & Crafts-era style that I like so very much), but the few that are available (besides this one at the on-line auction site that shall not be named) are from a single source. Remarkably, this was purchased at auction a short time ago for a reasonable price and then multiplied by three for resale. Waaay outside my budget. 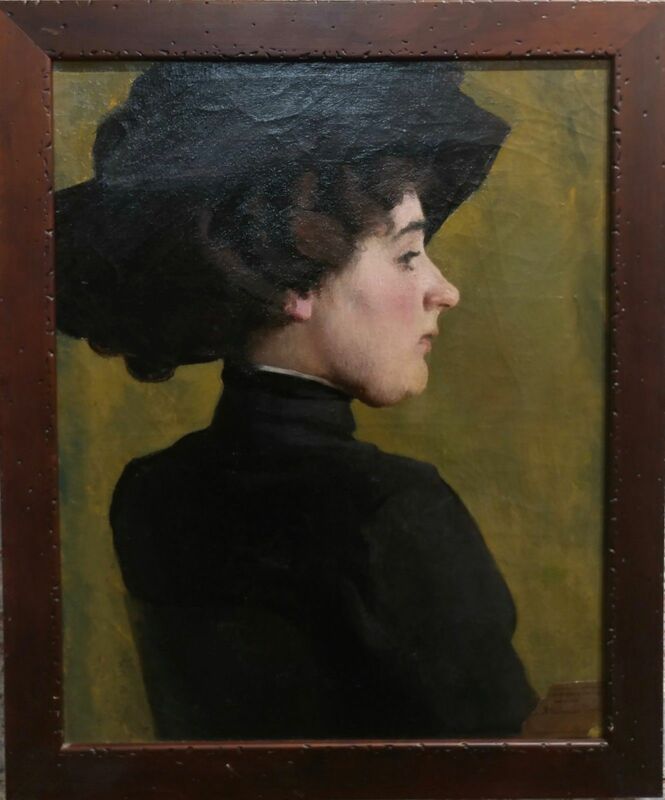 The “Profile Portrait of a Woman in Black” would have made a wonderful addition to Agincourt’s cast of characters. Just imagine the story she could tell. By agincourtiowa in Uncategorized on Saturday/06/April/2019 .